VueScan is a powerful, easy-to-use program that scans documents, photos and film and creates PDF, JPEG, TIFF and TXT files. VueScan is a scanning program that works with most high-quality flatbed and film scanners to produce scans that have excellent color fidelity and color balance. VueScan is easy to use, and has advanced features for restoring faded colors, batch scanning and other features used by professional photographers. 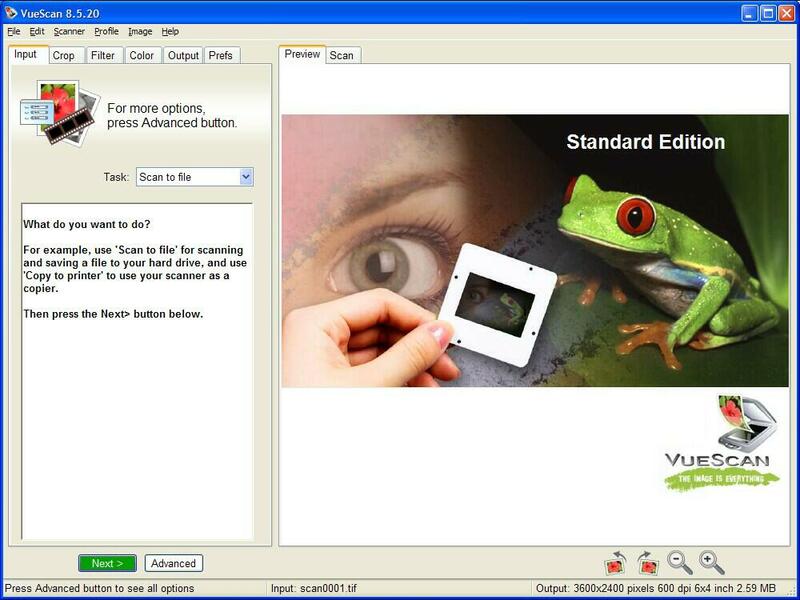 VueScan can scan documents, photos and film & creates PDF JPEG TIFF TXT files. ...... other features used by professional photographers. Qweas is providing links to VueScan 9.0.81 as a courtesy, and makes no representations regarding VueScan or any other applications or any information related thereto. Any questions, complaints or claims regarding this application VueScan 9.0.81 must be directed to the appropriate software vendor. You may click the publisher link of VueScan on the top of this page to get more details about the vendor.